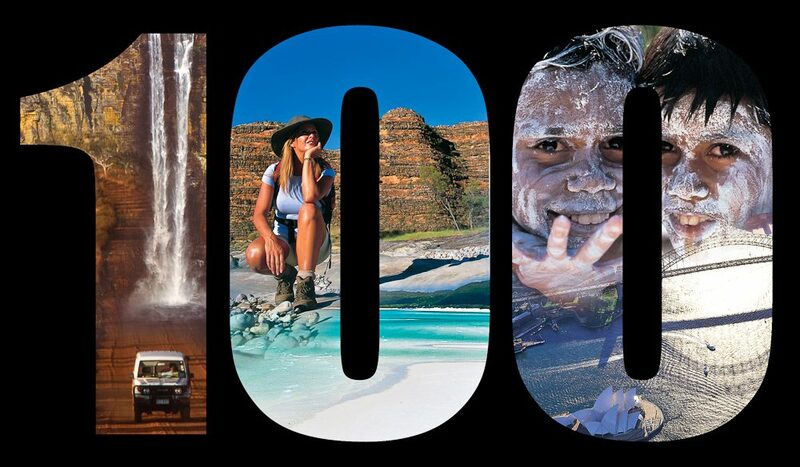 AT reader Brenda Weeks-Kaye has completed fully two thirds of our 100 Things To Do In Australia Before You Die. No.7: I’ve been swimming at Ningaloo but saw no whale sharks. That’s the wonderful thing about wildlife – it doesn’t appear to a schedule. No. 16: I’ve been past the MCG but, not being an AFL fan, I can’t say I’ve ever seen a game. No. 54: I’ve walked a bit at both ends of the Overland Track in Tasmania – a good alternative for those not fit enough to do the whole walk. No. 55: Well, the Australian Open Tennis was on and the tickets were sold out, but I was outside the stadium for a look-see. No. 61: The Larapinta Trail is a long, hard walk, but visitors to the area can still do small parts of the track in several places – not the whole kit and caboodle but, again, a good alternative for those less able. No. 93: The Savannah Way is certainly long and is easier to achieve a section or two at a time. I’ve travelled through the Savannah from Cairns to Karumba, and from the Stuart Highway in the Northern Territory through to Broome, so that leaves only one “small” (admittedly difficult) bit missing. As I’ve just moved to Melbourne, it won’t be long before I’m crossing off another five from your list (paddle steamer on the Murray, Eureka Stockade, Phillip Island penguins, Melbourne Cup and Old Melbourne Gaol). As I only turned 40 in March I reckon I still have a bit of time up my sleeve to see the rest, and at the top of my wish list would be a cruise of the Kimberley coastline (spectacular but very expensive). Your list was pretty good but I think you should know that your panel of judges missed three very worthwhile entries: 1. Seeing South Australia’s Lake Eyre in flood; 2. Walking or climbing into one of the many gorges in the Karijini National Park in the Pilbara; and 3. Seeing Bathurst Harbour on the remote southwest Tasmanian coastline. Can’t wait for your next list of suggestions – you have many exciting places to choose from. I’ve included for you a pic of Cradle Mountain (No. 20 on your list of 100). It was foggy with ice covering the car when we woke up, but the sun started to shine after breakfast so we hurried to the walking trails for a beautiful morning of walking. You can just see the last bit of mist lifting above the mountaintop.